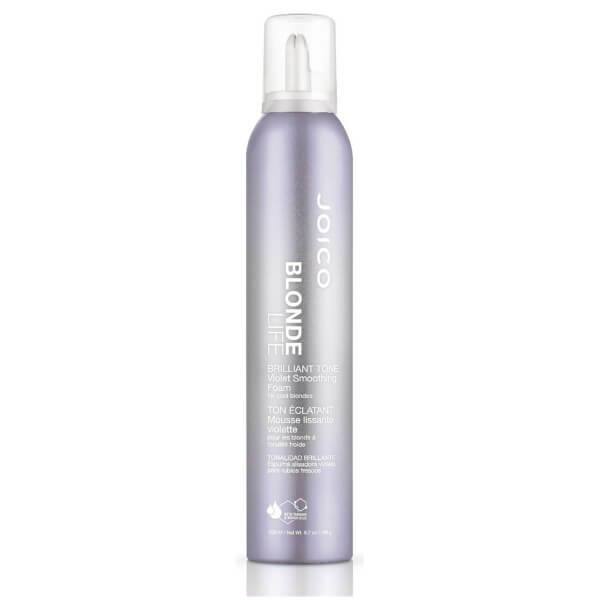 Add luxurious bounce, swing and movement to blonde locks with the Joico Blonde Life Brilliant Tone Violet Smoothing Foam for Cool Blondes; a whisper-light hair foam with a dual-action styling breakthrough that instantly tones blonde hair, banishing brassiness in a single application. 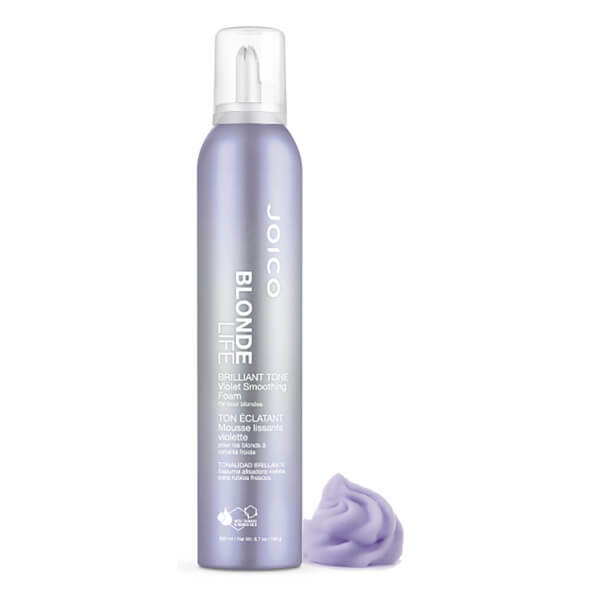 Infusing strands with ultra-hydrating Monoi and Tamanu Oils, the weightless foam formula smooths and polishes each individual hair fibre, lending a frizz-free finish that shows off vibrant blondness like never before. Shake well and dispense a small amount into hands. Apply evenly to clean, damp hair and style as usual.